DES MOINES, Iowa — Minnesota and Murray State registered upset wins over higher seeds in the NCAA Tournament first round on Thursday. Latest March Madness scores and results. At the Wells Fargo Arena in Des Moines, IA, No. 10 seed Minnesota beat No. 7 seed Louisville 86-76 in the opening round of the East Region, while No. 12 seed Murray State defeated No. 5 seed Marquette in the opening round of the West Region at XL Center in Hartford, CT. Freshman Gale Kalscheur scored 24 points and grabbed eight rebounds to lead the Gophers past the Cardinals, as Minnesota won its first NCAA Tournament game in six years. “I thought we played really good defense when we needed to. We showed great toughness and grit down the stretch,” said Minnesota coach Richard Pitino, whose father Rick Pitino coached the Cardinals for 16 seasons before he was fired 2017. Amir Coffey and Jordan Murphy had 18 points with six rebounds each, while Daniel Oturu and Dupree McBrayer finished with 13 points apiece for Minnesota (22-13), which made 11 3-pointers and shot 50.0 percent overall from the field. “This wasn’t about getting the win for coach Pitino. It was about getting the win for us in general and advancing to the next round,” said Murphy. Christen Cunningham led Louisville (20-14) with 22 points, and Steven Enoch added 14 points and seven rebounds off the bench. Darius Perry scored 12 points and Jordan Nwora contributed 10 points and 11 rebounds for the Cardinals, who shot 9 for 26 from long-range and went 44.1 percent from the floor overall. 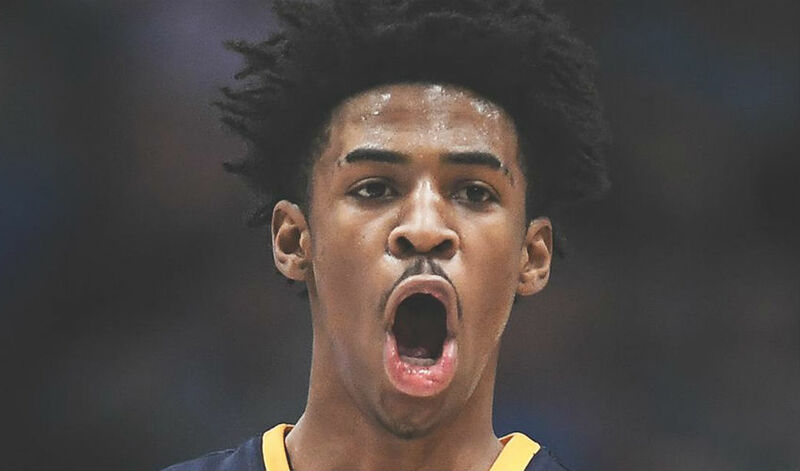 Meanwhile, Ja Morant grabbed a triple-double and Murray State stunned the fifth-seeded Marquette 83-64 in the West Region in Connecticut. Morant, who ended with 17 points, 16 assists and 11 rebounds, was collecting his ninth triple-double in NCAA Tournament history. Tevin Brown scored 19 points with six rebounds and made 5 for 9 from 3-pointers. KJ Williams added 16 points and Shaq Buchanan finished with 14 points and six boards for the Racers (28-4), who shot 53.6 percent from the field. Markus Howard was the leading scorer for Marquette with 26 points and Sam Hauser added 16 points and 11 rebounds in the defeat. How rare was Ja Morant’s #MarchMadness triple-double? The Golden Eagles (24-10) shot 32.4 percent from the field in the loss and went just 8 for 31 from 3-pointers. In other early NCAA Tournament first round results on Thursday, No. 4 seed Kansas dominated Northeastern 87-53 in the opening round of the Midwest Region, while second-seeded Michigan State held off Bradley 76-65 in the opening round of the East Region. Elsewhere, fourth-seeded Florida State held 13th-seeded Vermont 76-69 in the opening round of the West Region, No. 3 seed LSU survived against 14th-seeded Yale 79-74 in the opening round of the East Region and No. 5 seed Auburn held on for a 78-77 win over the 12th-seeded New Mexico State in the Midwest Region.